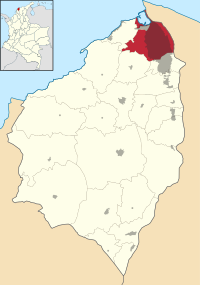 Barranquilla (Spanish pronunciation: [baraŋˈkiʝa]) is a city and municipality in northern Colombia. It is the capital of the Atlántico Department. With a population of 1,885,500 (2011), it is Colombia's fourth largest city after Bogotá, Medellín and Cali. This page was last changed on 23 November 2018, at 10:32.